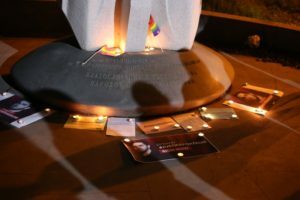 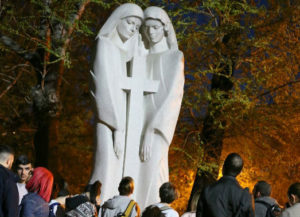 On April 6, at the United Cross statue, symbolizing the Armenian-Russian friendship, a candlelight vigil was held in commemoration of the victims of the attacks on LGBT people in the Chechen Republic of Russia last year. 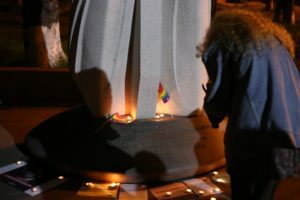 Systematic persecution of LGBT people in Chechnya started in February of 2017, according to the Novaya Gazeta newspaper, during which more than 100 people were arrested and tortured and three were killed. 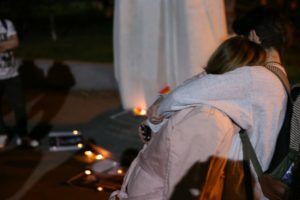 The cases were revealed in April. 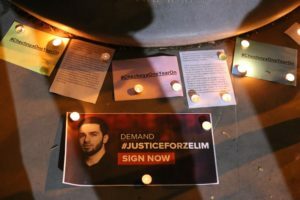 Though there were numerous testimonies and facts, the spokesman of Chechen President Ramzan Kadyrov, Alvi Karimov, denied the persecutions by saying that there were no LGBT people in Chechnya, and if there were, their families would have killed them.